CHICAGO (WLS) -- Have an older Ventra card? It may be expiring soon. The first of the original Ventra cards that were issued in 2013 to CTA riders began expiring this month. Starting January 2, Ventra will have mobile help desks set up at select "L" stations. The Ventra mobile help desk will be able to help customers replace expiring cards, replace registered cards and help transfer balances to new cards. On the morning of January 2, the mobile help desk will be at the Roosevelt, Logan Square, Garfield Green Line, Ashland Green/Pink Line and Belmont stations from 7 to 9 a.m.
From 4 to 6 p.m. the mobile help desk will be at the Clark/Lake, Lake Red Line, Ashland Green/Pink Line, 95th Street and Chicago Red Line stations. Last month the CTA launched a new transit-only Ventra card. 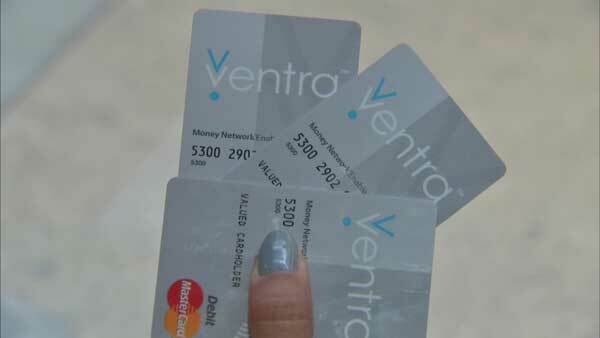 The option to use a Ventra card as a prepaid debit account ends on Sunday. For more information visit ventrachicago.com.